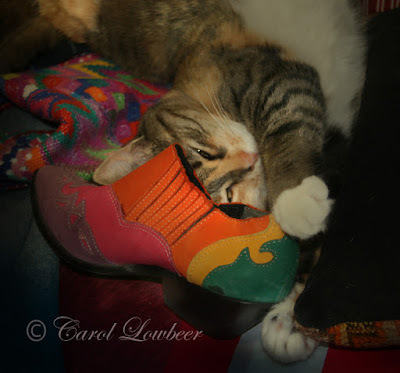 LAYING CLAIM TO A COLORFUL SHOE...we join Athena & Marie for their fabulous weekly Caturday Art event! Once I saw this colorful boot, I had a hard time letting go of it! When our human, Carol, got out her colorful boots to honor the Nashville trip we could not attend, little did we realize we'd like them so much...she will write more about our "boots" session later! Nashville vicariously-through Carol's boots & cowboy vest! 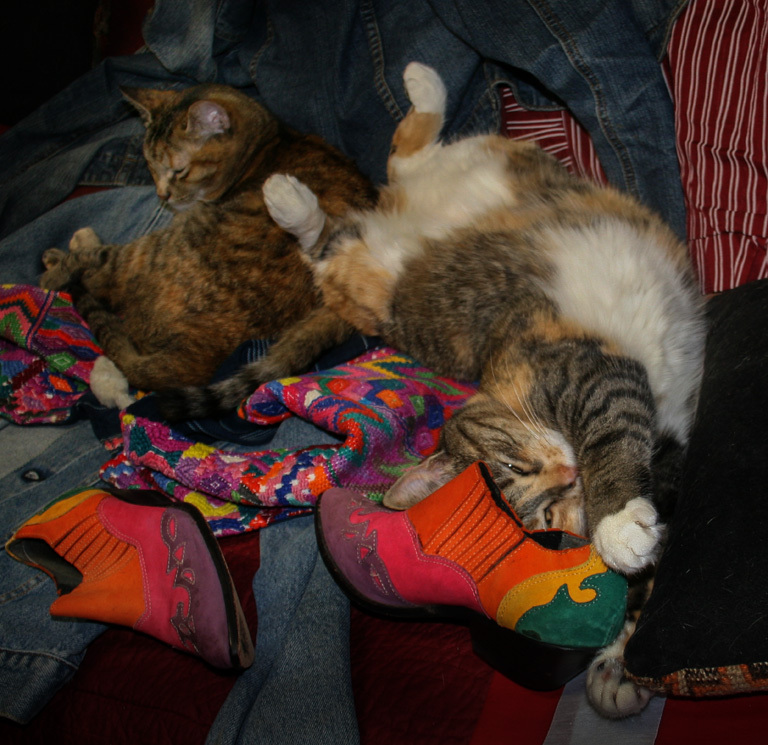 I, Peaches, as you can see, am making myself comfortable-as usual! The two of you look sooo cute. Adorable. You both are simply irresistible! Happy #caturday. Lovely boots and lovely you! Those are nice boots, but you 2 are the stars of the photo. My Mommy LIVES the boots! They would goes nicely with a jacket she has!